The eighth novel from NUMBER ONE bestselling author, David Walliams - now available in paperback! 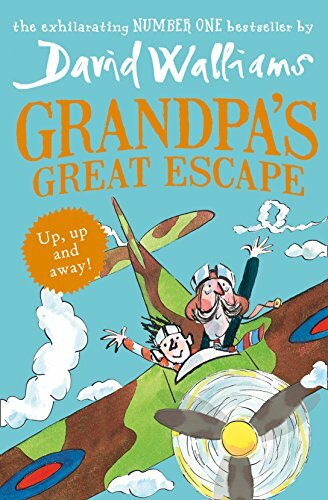 Jack's Grandpa... *wears his slippers to the supermarket *serves up Spam a la Custard for dinner *and often doesn't remember Jack's name But he can still take to the skies in a speeding Spitfire and save the day... An exquisite portrait of the bond between a small boy and his beloved Grandpa - this book takes readers on an incredible journey with Spitfires over London and Great Escapes through the city in a high octane adventure full of comedy and heart. Illustrated by the award-winning Tony Ross.